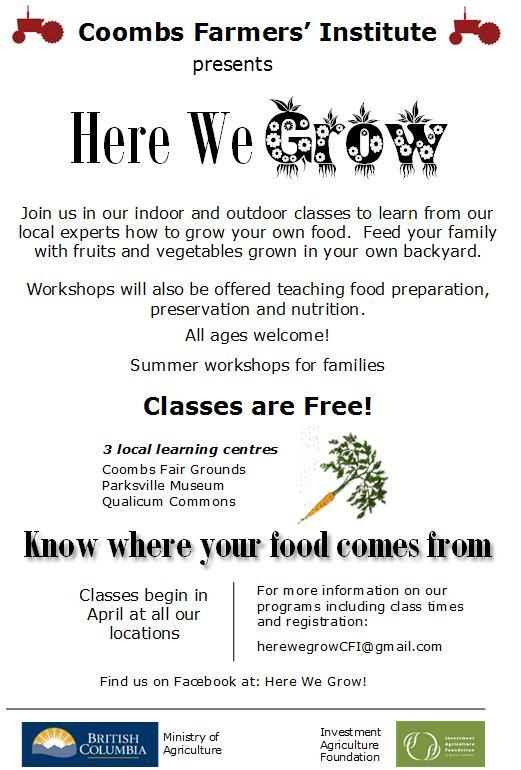 Thursday, November 16, 2017 from 7:00 to 9:00 P.M.
Arrowsmith Hall - Coombs Fairgrounds, Ford Road, Coombs. Speaker - 7:00 to 8:00 P.M. Janice Weninger, B.C. 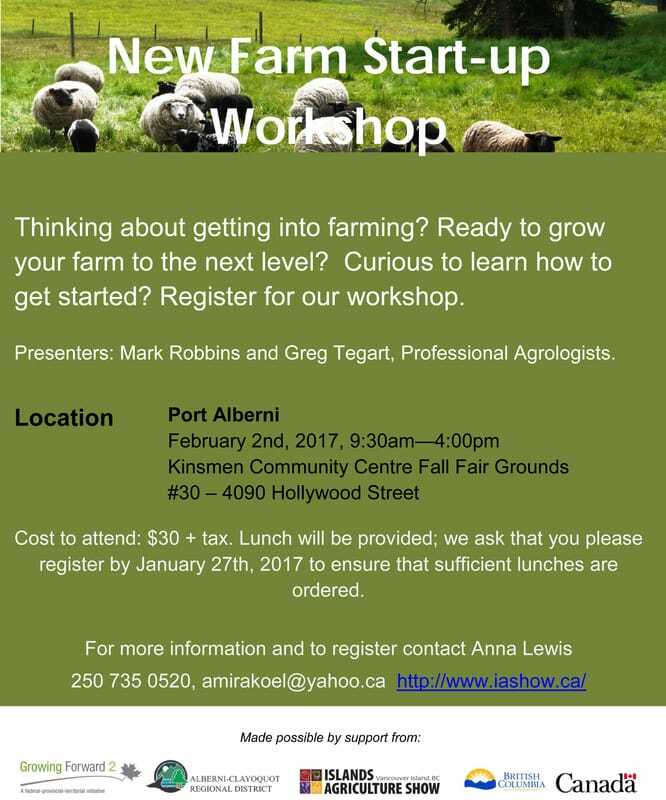 Assessment Authority, will speak about all things related to applying for, and retaining Farm Status for your property. A short business meeting and over-view of our busy year will follow. 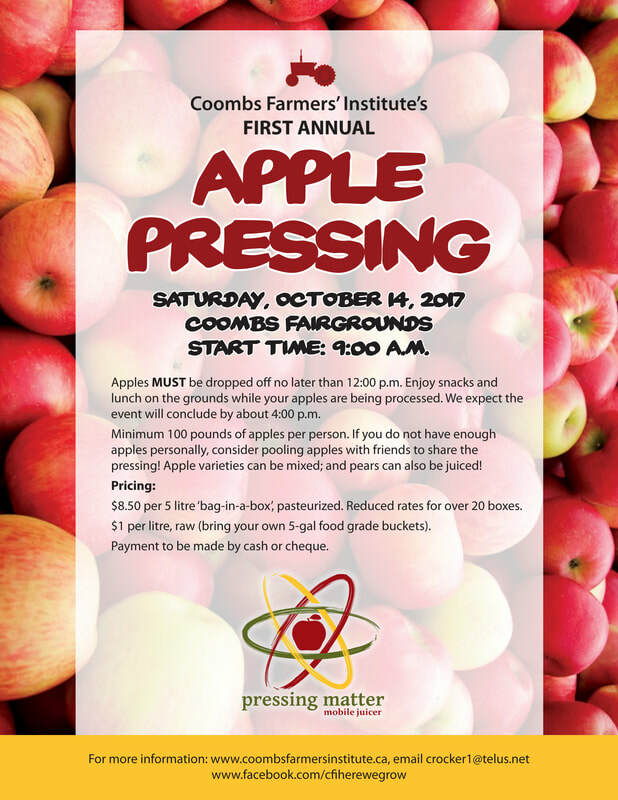 Come join us and put your name in the door prize draw to win one of two 5 litre boxes of our 'PRESSING MATTER' APPLE JUICE. 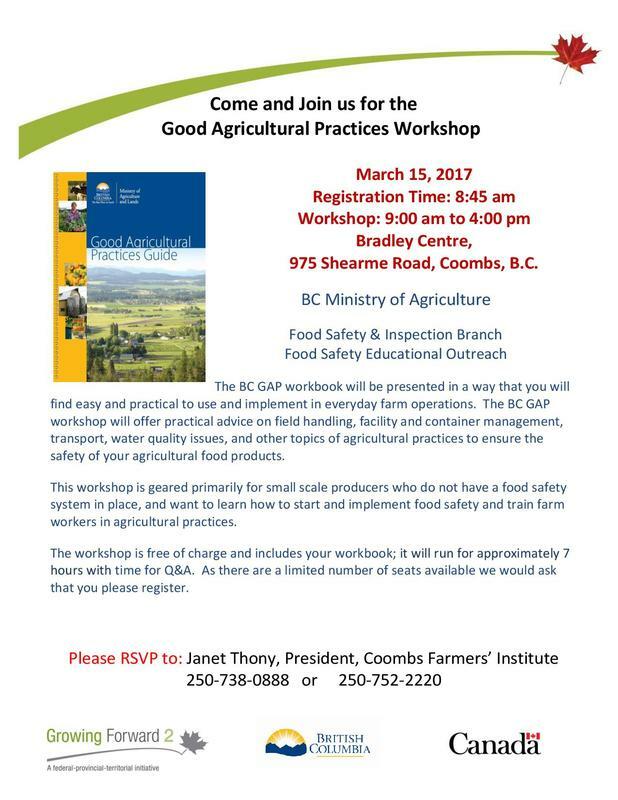 Coombs Farmers' Institute 104th AGM will be held at Coombs Fair Grounds, Arrowsmith Hall, on Wednesday, March 22, 2017, beginning promptly at 7:00 P.M and wrapping up by 9:30 P.M.
2017 membership fees of $10 are due and will be collected. 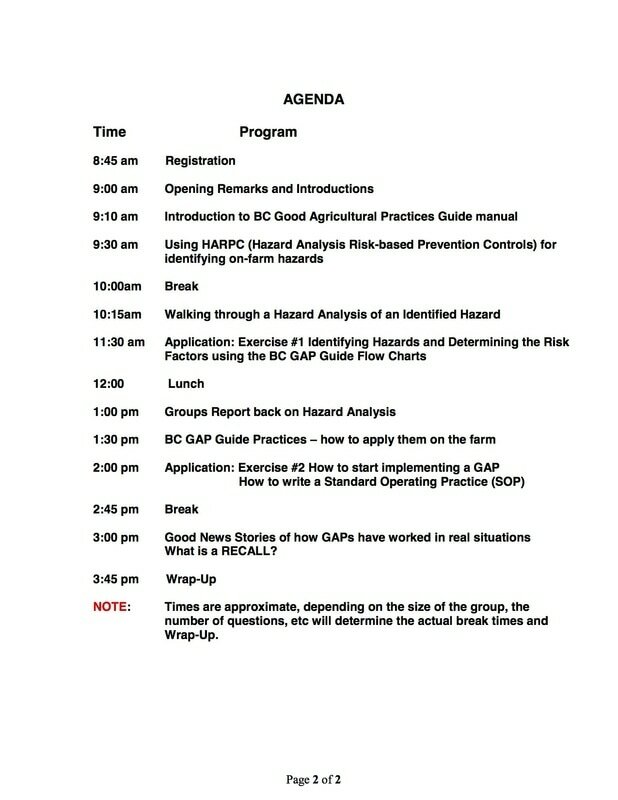 7:00 - 7:30 P.M. Wayne Smith - Vancouver Island Grain Company. 8:00 - 8:20 P.M. Marga Wilson - Hatching Chicks in the Classroom. Our short business meeting and AGM, including elections, will take place between and after our speakers. Guests and children are welcome. Refreshments will be served. 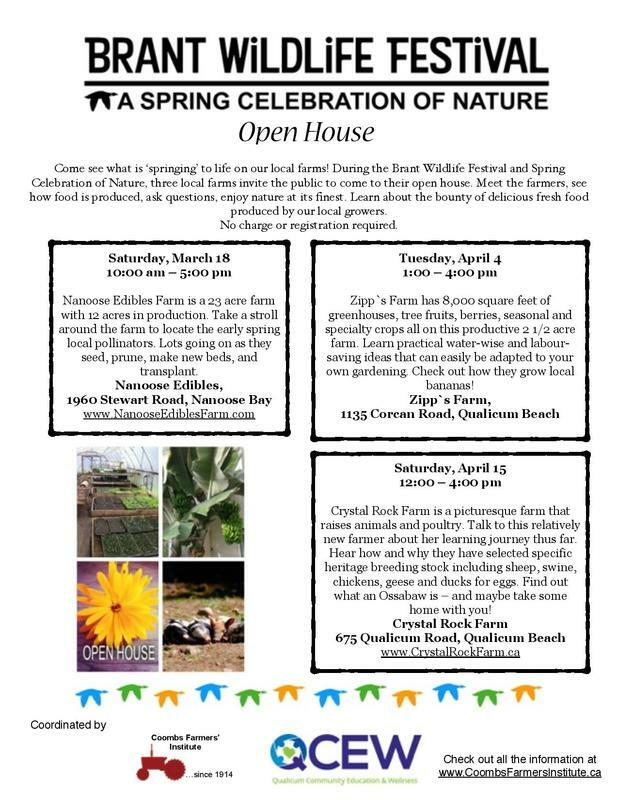 Check out our Facebook page event.